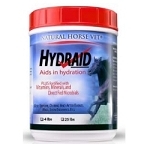 Our Hydraid formula provides electrolyte support like no other during times of extreme stress. 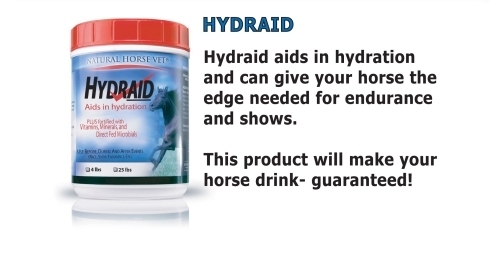 Whether it be during the utmost heat of the summer or when your horse needs the winning edge for endurance competitions and shows, Hydraid performs so your horse can perform. GUARANTEED ANALYSIS: Calcium, Min. 11%Â Â Calcium, Max. 13% Phosphorus, Min. 3.7% Salt, Min. 23.5% Salt, Max. 27.5% Zinc, Min. 150 ppm Selenium, Min. 3 ppm Methionine 1% Lysine 0.5% Vitamin A 100,000 IU per lb. Vitamin D3 40,000 IU per lb. Vitamin E 80 IU per lb. Thiamine, B1 1,600 mg per lb. Choline 435 mg per lb. Biotin 140 mg per lb Niacin 140 mg per lb. Riboflavin 20 mg per lb. 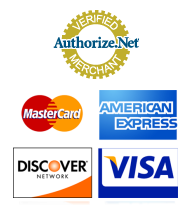 Pantothenic Acid 80 mg per lb. Vitamin K 10 mg per lb. Vitamin B12 125 mcg per lb. INGREDIENTS: Dicalcium Phosphate, Calcium Carbonate, Crushed Mineral Rock Salt, Sodiumcalcium Aluminosilicate, Kelp Meal, SeleniumYeast, Zinc Protienate, Dl-methionine, Llysine,Ground Dried Grape and Seed Pomace*, Distillers Grains, Diatomaceous Earth, Garlic Powder, Brewers Yeast, Mechanically Extracted Soybean Oil, Thiamine Monohydrate, Vitamin A Supplement, Vitamin D Supplement, Vitamin E Supplement, Mineral Oil, Bentonite, Niacin, Riboflavin, Calcium Pantothenate, Vitamin B12, Menadione (Vitamin K), Choline Chloride, Yeast Cultures, Saccharomyces Cerevissiae, Enterococcus Faecium Fermentation, Dried Lactobacillus Acidophilus, Aspergillus Niger Fermentation Extract and Natural Flavors. DIRECTIONS: Feed alone or top dress onto feed 1 tablespoon. Use before, during and after events. Always have available plenty of fresh clean water. Just put a tablespoon or so of Hydraid in anÂ feed bucket. "Your horse will eat it and then he will drink - guaranteed!Â If your horses aren't drinking, they ain't winning!"